This report examines management practices and student academic performance at California Virtual Academies (CAVA), the largest provider of virtual public education in California. Our research shows that students at CAVA are at risk of low quality educational outcomes, and some are falling through the cracks entirely, in a poorly resourced and troubled educational environment. One of CAVA’s functions is to act as revenue producer for its manager and primary vendor K12 California LLC (K12 California), a subsidiary of K12 Inc. K12 Inc. is a publicly traded company. This can put the leaders of the company in a position where they must choose between maximizing profit to fulfill their responsibility to shareholders and fully investing in the education of public school children, including those in California. As a private company, K12 Inc. offers us limited information concerning internal operations; however, our research indicates that some of the problems identified at CAVA result from inadequate resources in the virtual classroom, which suggests that funds are not being directed where they are needed. Several findings suggest that the virtual education model advanced by K12 Inc. in California does not adequately serve many of its students. In every year since it began graduating students, except 2013, CAVA has had more dropouts than graduates. Its academic growth was negative for most of its history and it did not keep up with other demographically similar schools after 2005. Its Academic Performance Index scores consistently ranked poorly against other demographically similar schools and the state as a whole. Evidence of low quality educational materials, understaffing of clerical employees and low teacher salaries all indicates that an additional investment of resources in the classroom is necessary for improvement. 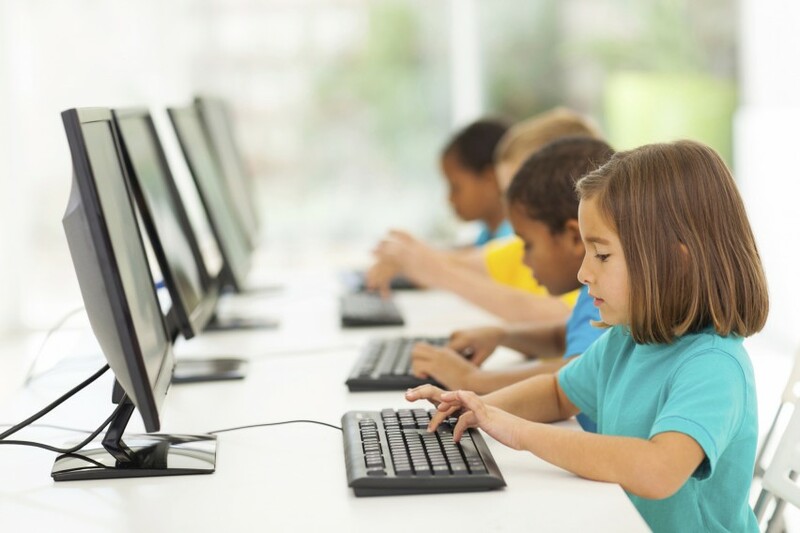 A high quality virtual charter school has the potential to be a valuable alternative for certain targeted students for whom a traditional classroom model is not feasible. However, CAVA’s record suggests that its approach is neither targeted nor high quality. Others have expressed concern about the management practices of K12 Inc. managed charter schools throughout the country, including state officials, shareholders, a stock analyst and a major investor. In addition, we have found evidence of poor academic outcomes in other states that are very similar to our findings in California. A close analysis of the business relationship between CAVA and K12 California, a relationship that offers the K12 Inc. subsidiary a large degree of control over the operations of each CAVA location, further strengthens our concern that the problems at CAVA are endemic to K12 Inc.’s business model. The amount of control that K12 Inc. and K12 California exert over CAVA also contradicts the new push towards local control that is occurring with California’s implementation of the Local Control Funding Formula. Contracts between the various CAVA locations and K12 California make it clear that the boards at each CAVA location and the boards of these CAVA location’s authorizing school districts have little leeway in budget, program and contracting decisions independent from K12 California. This undermines the system that the state of California has established for oversight and accountability. CAVA has operated a virtual charter school system in California with multiple locations since 2002 and currently enrolls 14,500 students from all major counties in grades K-12. As of January 2015, the CAVA network included 11 locations and employed 766 teachers who work from home and interact with students online. Each CAVA location currently receives full, per-pupil public education funding. Students attend school from home computers. The majority of the teachers we interviewed reported that their students are eligible to be counted as having attended with as little as one minute of log in time each day. In 2012-13, CAVA produced at least $47 million in revenue for K12 Inc., which is based in Virginia. The money paid to K12 Inc. represents more than 49% of the $95 million in public funding the CAVA locations received that year. K12 Inc. was paid this money for management, technology, curriculum and equipment rental services. CAVA used the other 51% to pay for all program expenses, including teacher’s salaries, district oversight fees, services for special education students, administrative office expenses, insurance and accounting services. Self-Dealing – K12 California is both the manager of each CAVA board’s school funds and the primary vendor at CAVA. K12 California’s agreements with CAVA allow it to pay itself for services out of CAVA bank accounts it is authorized to manage. Lack of Competitive Bidding – CAVA is contractually prohibited from seeking another vendor for services K12 California is willing and able to provide. Service Arrangements That Do Not Incentivize Quality – For its administrative and technology services, K12 California collects a percentage of revenue rather than a fee for service per pupil. If California ever increases per-pupil funding, K12 California collects more money regardless of any improvements to its product. Conflicts of Interest – As employees of K12 California, top CAVA school administrators must answer to shareholders’ needs as well as students’ needs; public school districts charged with oversight of CAVA receive a portion of their operating budget from CAVA payments; and CAVA boards risk the closing of the school unless they cooperate with K12 Inc.’s budget proposals. Debt Relationship – K12 Inc. charges more than the CAVA locations can reasonably pay. As a result, K12 Inc. issues “budget credits” every year, without which each CAVA location would be insolvent. This unusual financial arrangement has a number of negative implications when considering how much autonomy the various CAVA locations have from K12 California and K12 Inc., as evidenced by language in contracts and year-end Financial Reports. Lack of Transparency – The actual amount K12 California spends on providing services for California students, like the amount of profit K12 Inc. makes from the state, is private information. The public, parents, students, teachers and policymakers have no way of accurately calculating the level of resources being spent on CAVA’s virtual classrooms. 1. CAVA Has Struggled with Performance. CAVA’s graduation rate has consistently been a fraction of the rate in California overall. In the last four years, CAVA’s overall graduation rate was 36%, compared to 78% for California as a whole during the same time period. 2012-13 was the first year CAVA was able to graduate more than 50% of its students, with a rate of 58%. Even this improved rate fell far short of the California rate of 80% that year. CAVA’s Academic Performance declined every year but one since 2005. Since 2005, CAVA’s Academic Performance Index (API) growth score was negative in all years but 2009. Using this same measurement, CAVA students as a whole fell behind their peers at demographically similar schools for every year since 2005, including 2009. CAVA ranks poorly when ranked against other demographically similar schools in the state. For all years of operation, CAVA’s enrollment-weighted, system-wide average similar school rank was a 4.9 out of 10. In 2012-13, CAVA’s similar school rank was a 4.3, while its statewide rank was a 2.9. This means that in that year, 57% of schools with similar student populations performed better than CAVA and 71% of all schools in the state performed better than CAVA. CAVA has not shown consistent improvement over time. An analysis of academic performance data over time shows that performance measures have not improved steadily over time, as would be true with a developing, improving charter school. CAVA’s academic performance declined in all but one year since 2005-06 and its similar school ranking vacillated from year to year. 2. Management Decisions Have Exposed Students to a Troubled Teaching Environment. CAVA teachers we interviewed report substandard materials. Most of the teachers we interviewed reported that the quality of the computers, the education software and other materials used by teachers and parents is poor and that this impedes their ability to teach. Some students at CAVA are not a good fit for online education. K12 Inc. engages in aggressive advertising, especially on children’s TV networks, as USA Today documented in 2012. In addition, there is evidence that K12 Inc. engages in aggressive recruitment tactics. This aggressive advertising and recruitment is paired with what a majority of the teachers we interviewed report is a difficult process for dismissing students at their CAVA locations. Several of the teachers we interviewed reported that a significant portion of their students are not a good fit for online education. Inadequate guidelines allow only one minute of login time to constitute attendance and allow a parent to verbally verify attendance, regardless of evidence. Most of the teachers we spoke with report inadequate guidelines for confirming attendance at their CAVA locations. Most report having been instructed that only one minute of login time is sufficient to constitute attendance and that a parent can verbally confirm attendance, even with no evidence that the student participated that day. This means that some students who are not sufficiently participating and are not withdrawn from the program can still count towards Average Daily Attendance-based state funding. CAVA has a fraction of the clerical staff they need and many teachers report being expected to pick up the slack to a degree that impedes effective teaching. CAVA locations report eight total clerical employees for the CAVA system, while districts with a similar enrollment to CAVA as a whole report an average of 94 clerical employees. The ratio of students to clerical staff is 13 times higher at CAVA than comparably sized districts. At the same time, most of the teachers we interviewed reported that clerical assignments make up the vast majority of the work they do and prevent them from spending sufficient time on teaching. Additionally, 104 CAVA teachers sent a letter detailing concerns over excessive non-instructional duties to CAVA administrators in November of 2014. CAVA pays a fraction of what corresponding districts pay and all of the teachers we spoke with report high teacher turnover. All of the teachers we spoke with report a high teacher turnover rate. This is concerning, as teacher turnover has been shown to harm students. In 2011-12, the most recent data available, CAVA paid teachers an enrollment-weighted, system-wide average of $36,000 a year, while teachers at CAVA’s authorizing districts made an average of $60,000 a year. CAVA had high student turnover in 2012-13. Using the California Department of Education’s definition of “continuous enrollment,” we found CAVA to have a 2012-13 student turnover rate of 24%, compared to 7% in California. For an alternate measurement of student turnover we compared the number of students defined as continuously enrolled to the “cumulative enrollment” for the entire year. Using this methodology, we found an alternate student turnover rate of 51%, compared to 11% for California. This alternate rate shows us that more than half of CAVA’s students that year either left or had recently enrolled. Teachers report inadequate services for special education students at their locations. The special education teachers we spoke with report that CAVA has failed to provide needed services to some of their students. For example, one teacher reports that she has students with severe mental disabilities who need basic life skills training, like personal hygiene, and are not receiving it. In addition, these teachers report caseloads that exceed 35 students. This is significantly higher than the 28 students that California mandates for special education teachers in traditional public schools. Given the vulnerability of this sub group, we feel an immediate investigation is warranted. 3. Considerable amounts of K12 Inc.’s revenues go to advertising, executive compensation and profit. In 2012, K12 Inc. spent about 5% of revenue on advertising. An analysis of advertising expenses in 2012 suggests that about 5% of K12 Inc. revenue was spent on advertising that year. In 2012-13, K12 Inc. spent 2.5% of revenue on executive salaries. An analysis of executive salaries shows that in 2012-13, 2.5% of K12 Inc. revenue was spent on the salaries of the top nine executives. In 2013, K12 Inc. reported that 5.4% of revenue became profit. A review of the company’s 2013 Annual Report shows that 5.4% of revenue became profit or “operating income” in 2012-13. K12 Inc. received more than $47 million in revenue from CAVA in 2012-13. CAVA received more than $95 million in public education funds and is paying an amount equal to 49% of that to K12 Inc. California taxpayers should have a right to know how much of the public money paid to K12 Inc. is spent on the services delivered. 4. Existing Oversight Mechanisms in the State of California Have Not Sufficiently Monitored CAVA Operations. Some CAVA locations have chosen exceptionally small districts as authorizers that may lack the capacity to fulfill their Education Code-mandated oversight duties. CAVA San Diego, the charter school’s largest location, provides a stark example of this phenomenon. CAVA San Diego’s enrollment of more than 3,000 is about 100 times the size of its authorizer, Spencer Valley Elementary. This is a school district with a core population of 30 students. CAVA’s total 2013-14 enrollment of 14,500 is equal to 80% of the core district enrollment at its authorizing districts added together. There is evidence that CAVA has failed to comply with California’s forward thinking funding requirements for non-classroom based schools. The amount paid to personnel cited in CAVA’s year-end Financial Reports represents a lower percentage of public revenue than was required to be paid to certificated staff by the California Department of Education when it funded each CAVA location. Furthermore, the amount paid to K12 Inc. is not correctly reported in several applications for funding. The process by which the California Department of Education verifies compliance with these and other funding requirements is insufficient. Our research shows that public education resources that flow to California Virtual Academies are not being spent in a way that sufficiently benefits their students or teachers. CAVA’s poor educational performance, its questionable financial arrangement with K12 California and K12 Inc. and the schools’ troubled teaching environment all support this. The situation at CAVA requires the attention of California education authorities to ensure that students are being served appropriately. Many areas of the Education Code, as well as other applicable regulations, allow a more thorough review of CAVA’s operations by state authorities, which we strongly recommend. In addition, the situation at this virtual charter school system suggests that policies guiding the oversight of the industry should be revisited and strengthened. This bold new experiment in education, the virtual, self-paced model, has the potential, around the world, to be a valuable resource to certain student populations. However, if left unchecked, the model being advanced by CAVA will continue to negatively impact the educational outcomes of a large number of California children. This is not what virtual education in California should look like.